Who's winning? 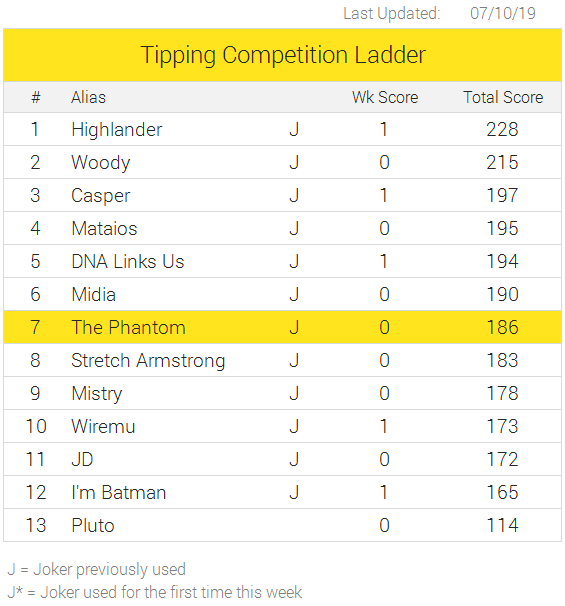 Checkout the big movers and shakers for this round as tipsters battle it out for ultimate bragging rights and a share of over $1,000 in prize money. Don't forget, you can still win the $100 monthly prize irrespective of where you rank on the competition table. See the rules for full details. Submit your tips before the weekly deadline for your chance to win big.